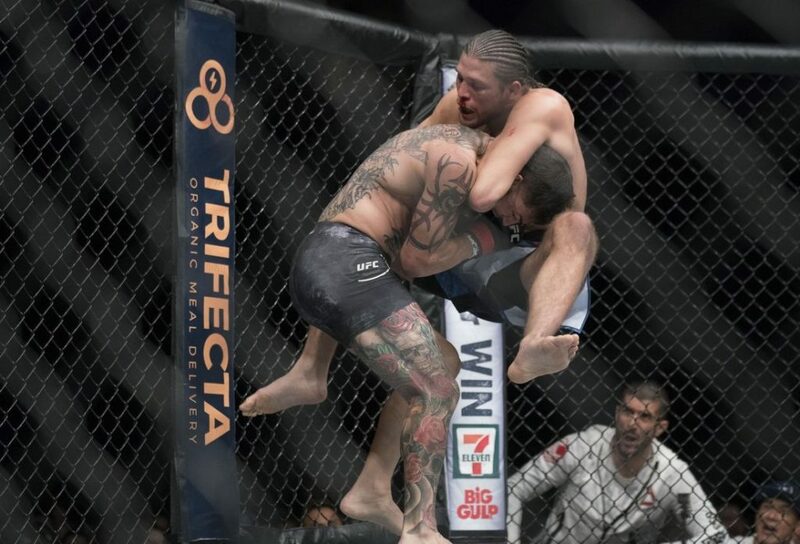 Technically speaking, Brian Ortega (13-0 and 1 NC) beating Cub Swanson (25-8) wasn’t a huge upset; a lot of betting sites had this fight even or Ortega as a slight favorite. 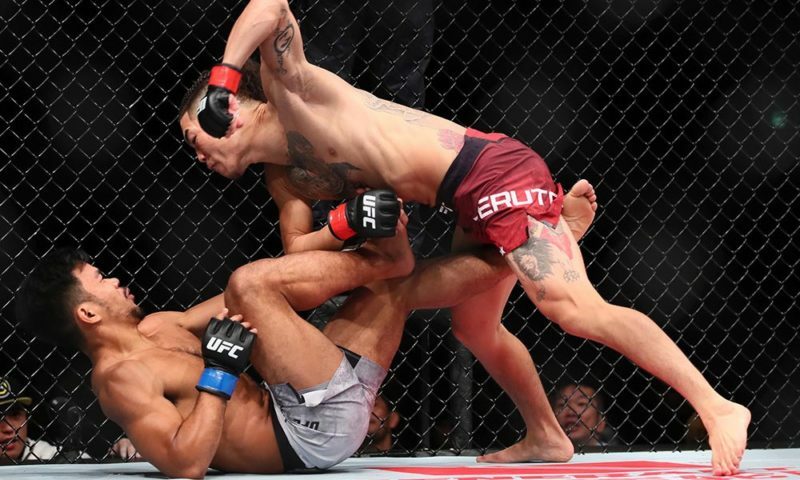 But even then, Ortega had snatched victory from the jaws of defeat against his past few opponents and they couldn’t hold a candle to Swanson. 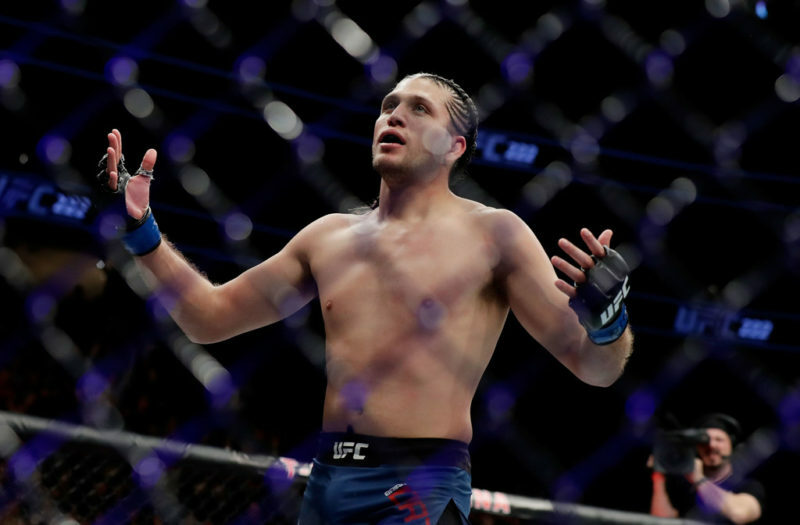 But it turns out that coming back to win fights is something Ortega can do against opponents at any level of competition, making him exceptionally dangerous. How did he do it? Most fans assumed that Swanson had an enormous advantage on the feet and Ortega seemed to agree with them. 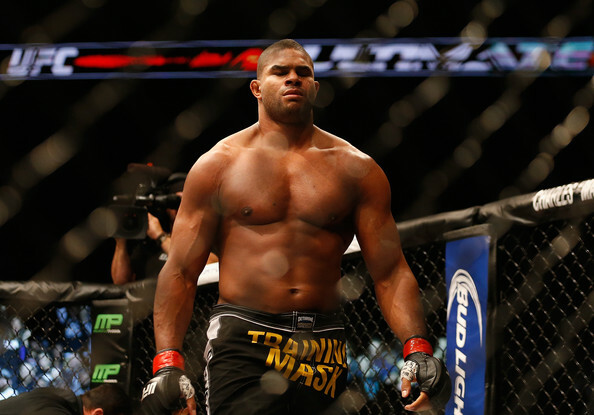 Ortega kept his forearms high and limited his offense to straight punches, minimizing the openings at his jaw. Many of Swanson’s looping head shots clattered off Ortega’s forearms and his height mitigated the uppercuts. Ortega was losing on points but he was safe from eating a fight-ending shot while he closed distance which is invaluable for a grappler. Mind you, Swanson didn’t make it easy. It’s impossible for an MMA fighter to block every punch and Ortega was no exception. His head would jerk from the excess force of Swanson’s punch that his guard couldn’t absorb. In turn, Swanson would use the threat of this power to pin Ortega’s guard high and sink deep body shots. Ortega wasn’t in danger of getting finished, but his cautious approach was letting Swanson ramp up his offense with no consequence. Until he got him in the clinch. There are all sorts of ways to set up submissions. Some, like Demian Maia, separate the takedown and submission into separate and equally meticulous steps. 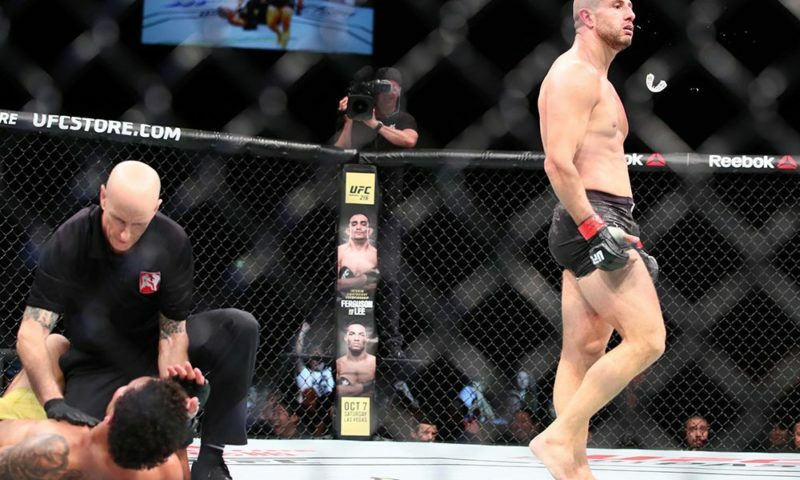 Some prefer to damage their opponents with strikes and use the submission to deliver the coup-de-grace like Nate Diaz. 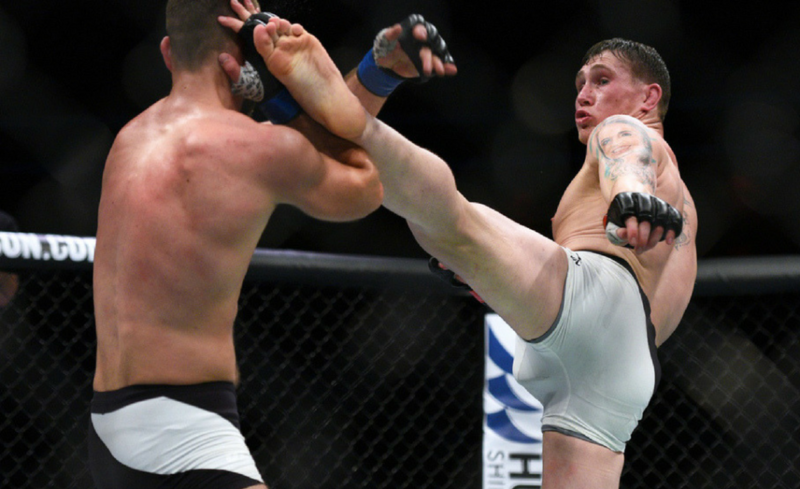 A precious few are so talented that they blur the lines between set up, attack, and finish like Anthony Pettis. But initiating and sinking a submission directly off a standing clinch? 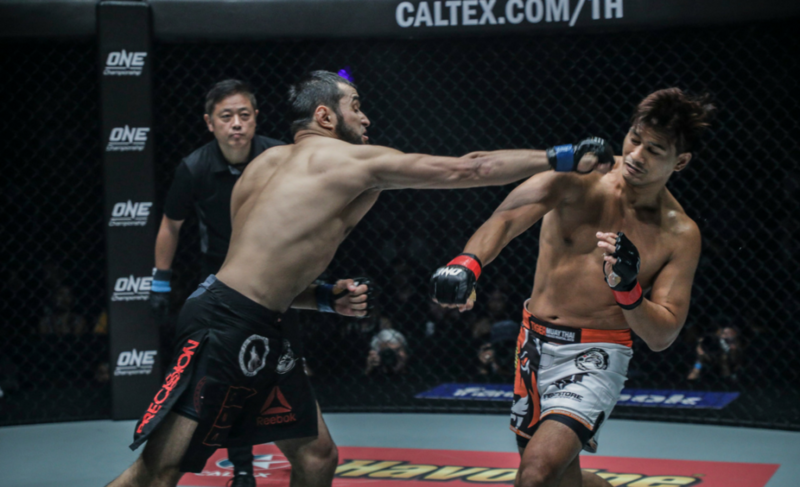 The only two fighters that come to mind who can do it reliably are Shinya Aoki and Tony Ferguson. You may recognize those two men as the greatest submission fighter in history and the best lightweight on the planet. And Ortega essentially did it twice in one fight. 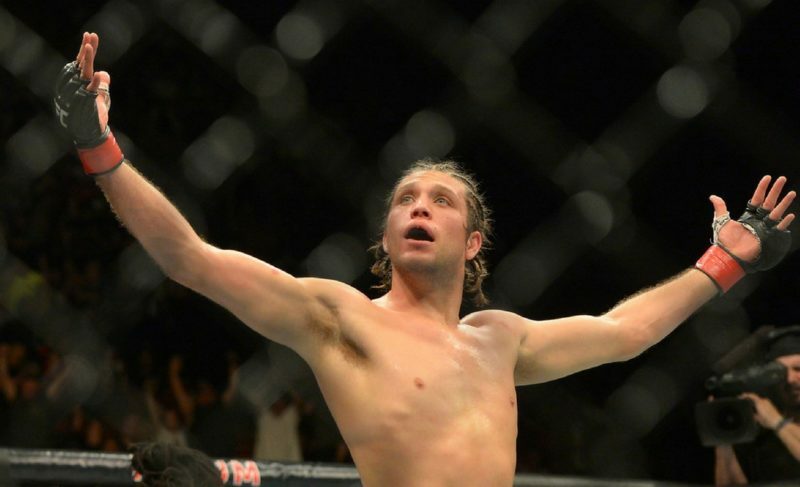 Much has been made about Swanson’s six losses by submission, but most people disregard his loss to Ricardo Lamas since Swanson entered a new phase of his career immediately afterward. 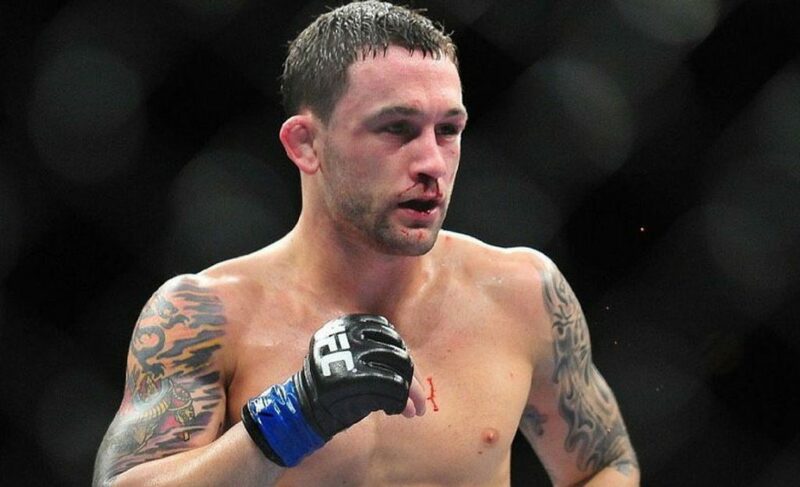 That leaves Frankie Edgar and Max Holloway as the only other men to submit him and that’s nothing to be ashamed about. This is a guy who had little trouble scrambling with Dustin Poirier in their three-round banger of a fight. Ortega is so good out of a standing clinch that he was able to put Cub in trouble within seconds despite taking a beating on the feet. A place where fighters would be much more worried about knees and elbows than having their neck cranked. Statistically, Ortega was the larger man and the accuracy of those numbers was confirmed when he stood taller at the touch of gloves. But for most of the fight, you could be forgiven for thinking the fighters stood level. Swanson was the aggressor, covering distance with explosive strides while Ortega seemed to shell up in response. If anything, Swanson’s body attack would have Ortega slouching over in no time. But the moment Ortega brought Swanson to the ground it was clear that he was a beast. Standing 5′ 10″, Ortega is a mammoth of a featherweight. For reference, he’s only an inch shorter than champion Max Holloway but carries more muscle on his frame. The expression on Swanson’s face in the waning second of the first round says it all. He looked like a grade-schooler who asked his dad to wrestle him “for reals“; he was wide-eyed, surprised and a little ashamed. In the clinch, Swanson found himself unable to control Ortega even when he gained underhooks. 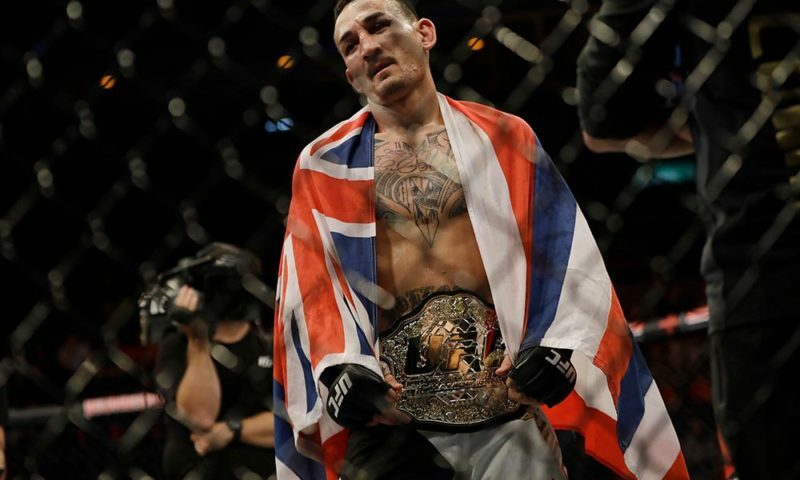 Ortega’s middling striking will keep him from seriously challenging for a title; Holloway has steamrolled strikers leagues above Ortega and he won’t be submitted so easily. But Ortega has combined some unique skills with guile and strategy to become a very interesting contender. The fact that any clinch with him could almost instantaneously end a fight on the mat cannot be overstated. There’s really only one question left. 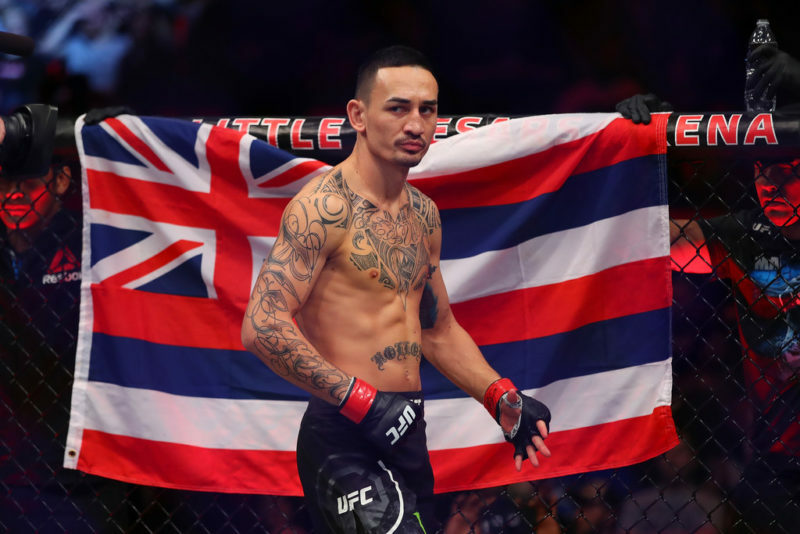 Who fills out Ortega’s dance card while Frankie Edgar and Max Holloway duke it out?